Valentine’s Day week is upon us. Depending on your relationship status, this could mean you are saving up to wine and dine your sweetie or you are looking for a fun place to party among other singles. Regardless of your situation, there is plenty to do this week, and it doesn’t all revolve around the Hallmark holiday, thankfully. A chef teaches you how to prepare a beautiful and enticing dinner for two; then you get to enjoy the meal. The menu includes shrimp De Jonghe, salad with pomegranate maple vinaigrette, grilled asparagus, roasted rosemary potatoes, and steak Diane. After the demonstration and dinner, join the Whole Foods crew for a free bubbly and chocolate tasting in the atrium. Cost is $20 per person or $35 per couple. RSVP online. Dallas by Chocolate Tours is hosting this shindig, which goes down from 6-10:30 pm. 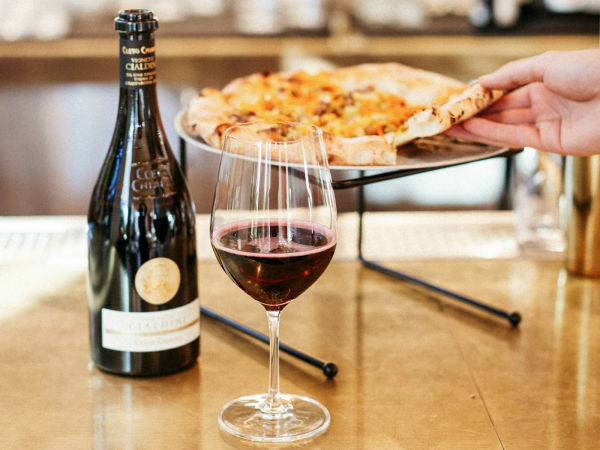 The tour starts at Two Corks and a Bottle with a wine tasting, accompanied by pizza and a cheese board. It continues with chocolate, jazz and champagne at Chocolate Secrets and the Free Man in Deep Ellum. Price includes bus, food, wine tasting, and beverages at winery and on the bus. Tickets are $57 each; you can buy yours online. DBK and Dude, Sweet Chocolate are pairing five chocolates with internationally renowned beers. There’s also a couples high-five contest at the end of the pairing; the top three couples win a prize. The event lasts from 9-11 pm and costs $30. Buy tickets here. Single? In a relationship? Not sure? All are welcome here. Tickets include an appetizer buffet from 8-10 pm, a complimentary glass of champagne, great drink specials and party favors to indicate your status. Just in case you are new to the game: green = single, yellow = not sure and red = happily spoken for. You then wear the color of your status to the party. It’s an easy way to meet new people or love the one you’re with. Cost is $15; you can buy tickets online. Eat at the Lover’s Table at Twisted Root Burger Co.
You don’t have to search for the perfect gift, get the right reservation and drop a bunch of cash to have fun on Valentine’s Day. Twisted Root invites you and your beloved to skip all that nonsense and sit at a designated lover’s table at any of its area restaurants. Available on a first-come-first-served basis, it’s draped in a tablecloth, sprinkled with rose petals, and adorned with floral and candles. The manager is at your service to deliver your food directly to the table. It’s just the right amount of romantic. 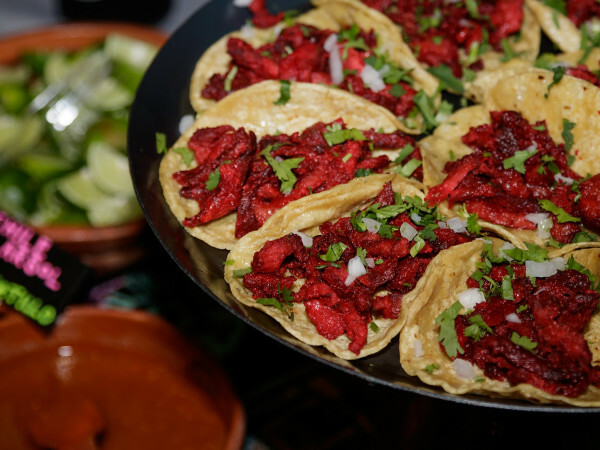 From 11 am-3:30 pm, feed your Valentine’s Day hunger for some meat on this tour from Dallas Bites. 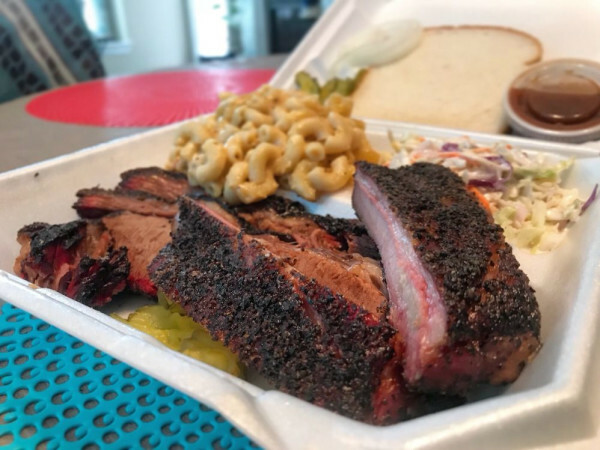 Stops include Mike Anderson’s BBQ, Off-Site Kitchen, Blind Butcher and Jerry’s Wood-fired Hot Dogs. All of the dishes are topped off with beer from a great brewery. Price includes bus transportation, plenty of food, beverages on the bus (you can also bring your own), admission and beer at the brewery. Tickets are $59 each, and you can order them online. FT33 welcomes Evan and Sarah Rich of San Francisco’s Rich Table, where there is no dress code and the food speaks for itself. Be prepared to kick back and enjoy some good food with people who will make you feel like you’ve been friends for years. You get eight courses for $105 ($55 extra for wine pairings), and dinner starts at 7 pm. Reserve your spot by calling 214- 741-2629. Join fellow beer and cheese enthusiasts at this hangout that happens the third Monday of each month. This Monday the party starts at 6:30 pm, and for $25, you get five beers from Ballast Point paired with five cheeses from Rare Edibles. After each beer and cheese is served, then the fun discussion can begin. The event is limited to 40 people, so reserve your spot by emailing curds.and.grain.dallas@gmail.com or calling 972-638-7468.